When will be The National Dog Show next episode air date? Is The National Dog Show renewed or cancelled? Where to countdown The National Dog Show air dates? Is The National Dog Show worth watching? The National Dog Show is a conformation show sanctioned by the American Kennel Club. The National Dog Show has been ongoing since 1879 with its only interruption being the Great Depression from 1928 through 1932. The show is held by The Kennel Club of Philadelphia, a founding club of AKC. It traditionally takes place on the third from last weekend in November over two days. The National Dog show is one of the three major dog shows in the United States, along with the AKC/Eukanuba National Championship and the Westminster Dog Show. Winners may be invited to compete at Crufts. As with all AKC conformation shows, mixed-breed dogs are not eligible to participate. The show is nationally televised (on tape delay) in the United States on NBC every Thanksgiving; the show immediately follows the network's coverage of the Macy's Thanksgiving Day Parade and airs at noon in all time zones. 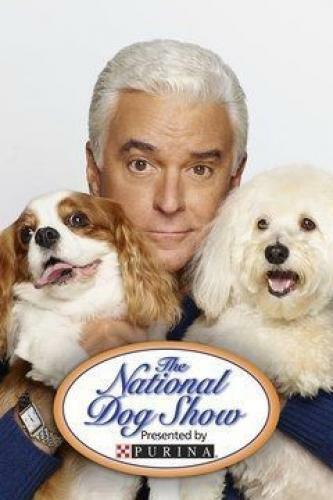 Actor John O'Hurley is the program's host, and the show's presenting sponsor is Nestlé Purina PetCare. Canines vie to be Best in Show at the Kennel Club of Philadelphia annual event; three new AKC-sanctioned breeds are included this year; John O'Hurley and David Frei host. An established family holiday tradition, the broadcast is part of a five-hour block of family programming and will showcase more than 2,000 purebred canines competing for the title of Best in Show. Unlike traditional dog show coverage, the Kennel Club of Philadelphia's National Dog Show offers the country's 65 million pet-owning households an afternoon of family-friendly activities, facilitated by the open format of the esteemed event. As one of the only remaining "benched" dog shows, all of the competing breeds are on display for the visiting public. The National Dog Show next episode air date provides TVMaze for you. EpisoDate.com is your TV show guide to Countdown The National Dog Show Episode Air Dates and to stay in touch with The National Dog Show next episode Air Date and your others favorite TV Shows. Add the shows you like to a "Watchlist" and let the site take it from there.